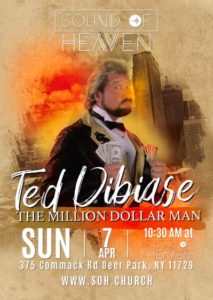 On Sunday, April 7th, Sound of Heaven Church will welcome Guest Minister and WWE Hall of Famer Ted Dibiase. He was the heel so many of us grew up watching. The Million Dollar Man, as he was known, mastered the mantra for being able to manipulate everyone with his wealth. This was highlighted by the catchphrase “Everybody’s got a price!” which pulled boos and hisses from all of us Hulkamaniacs who religiously ate their vitamins and said our prayers. He didn’t care. Week after week, from house show to Pay Per View, his character epitomized everything that could be wrong with humanity and we ate it up. As Ted Dibiase rose to stardom in sports entertainment, his life took some difficult turns based on poor personal decisions. This is not unlike many of us. Since the fall of man, humanity has let the guard down often in the midst of prosperity. Sometimes it takes a fall from Grace to realize just why we need a Savior. Ted found himself at rock bottom and the only One who could save him was He who created Him. In 2017, a documentary titled The Price of Fame was released detailing the difficult journey of a man who at one point appeared to have it all. Ultimately, “The Million Dollar Man” discovered what really mattered in life. Today, he is the overseer of Heart of David Ministry, affecting the lives of many and empowering leaders through his faith and inspiring testimony. We are thrilled to have him join us. 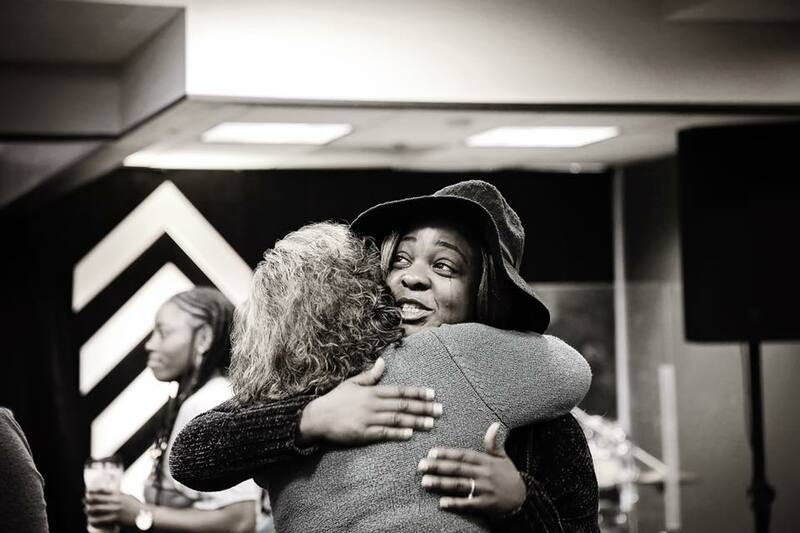 This is a Sunday that you will NOT want to miss. How’s the Million Dollar Man connected to SOH? Our very own Apostle Johnny Ova and Bobby Riedel spent years in the wrestling industry. After Apostle Johnny gave his life to Jesus, Ted Dibiase became a very influential mentor in his personal development, inside and outside the ring. This included laying the foundations of Johnny’s faith. They traveled together. Eventually, Apostle Johnny was coined “The Million Dollar Protege'”. Along with his Manager, Bobby Reidel, the 3 began to use wrestling as a way to minister. Over the years, many lives have been forever changed through a ministry that coupled an unlikely partnership between tombstone piledrivers and the Gospel of Jesus Christ. Check out this footage from the archives featuring Apostle Johnny and The Million Dollar Man ministering together in 2010. This is a Sunday that you won’t want to miss! Join us! Service starts at 10:30, but get there early. Space will be limited.